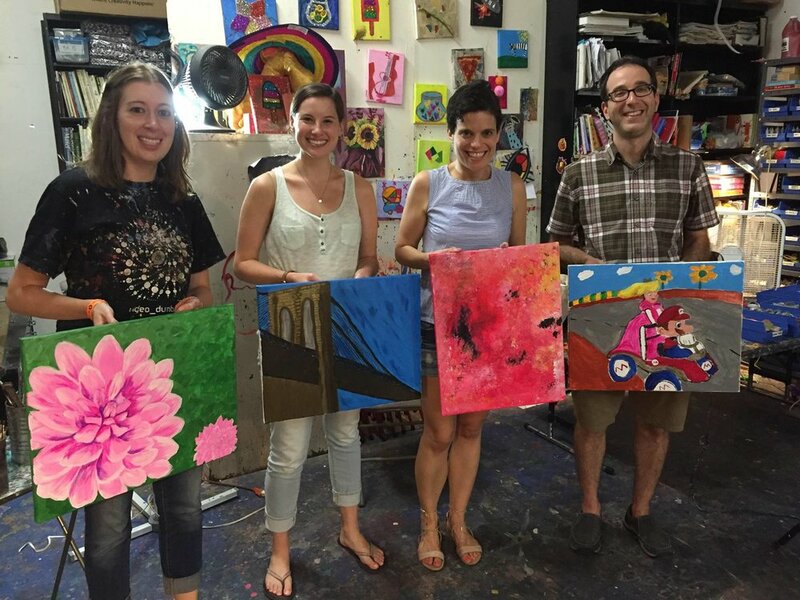 Celebrate your Birthday or Private Party with Creatively WILD for a truly one of a kind experience, held in our gorgeous artists' loft in the heart of scenic Dumbo! We guarantee a unique Creatively WILD party adventure, we assure every family member and friend will be engaged, awed, inspired and entertained! Choose from one of our exciting Party Themes or let us custom design your party or event to suit the Guest of Honor or occasion. We custom decorate our studio space for your guest of honor before anyone arrives. With an exciting assortment of unique party activities, packages and add-ons, simply choose your party theme, invite your guests and we’ll take care of the rest! Enjoy amazing action-packed fun activities using multi-media and exciting materials! Create your own masterpiece to take home, a keepsake to mark that special day!